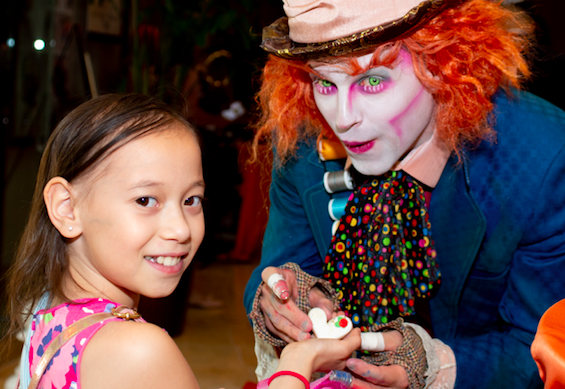 The third annual Mad Hatter Cocktail Tea Party raised an impressive $25,000 during the four-hour event on Saturday, June 9, 2018. The tea party raises funds for the StoryBook Homes Long-Term Follow-Up Clinic for childhood cancer survivors. Operated by Cure 4 The Kids Foundation, it is the only clinic in Nevada created specifically to address the medical, emotional, educational and social needs of childhood cancer survivors — no matter where they received their cancer treatment. Childhood cancer treatments including chemotherapy, radiation, and surgery can have long-term health effects on survivors later in life. The Long-Term Follow-Up Clinic educates survivors on their specific risks to help them live long and healthy lives. Like all programs of Cure 4 The Kids Foundation, patients with good insurance, bad insurance or no insurance are accepted. No patient is turned away from treatment for financial reasons.